We give the companies like yours the confidence over their financials and provide the VAT Enabled Finance and Accounting Software in management the wisdom they need over their company. Normal and hierarchical view of chart of account helps you to easily manage your accounts and understand complex chart of accounts. 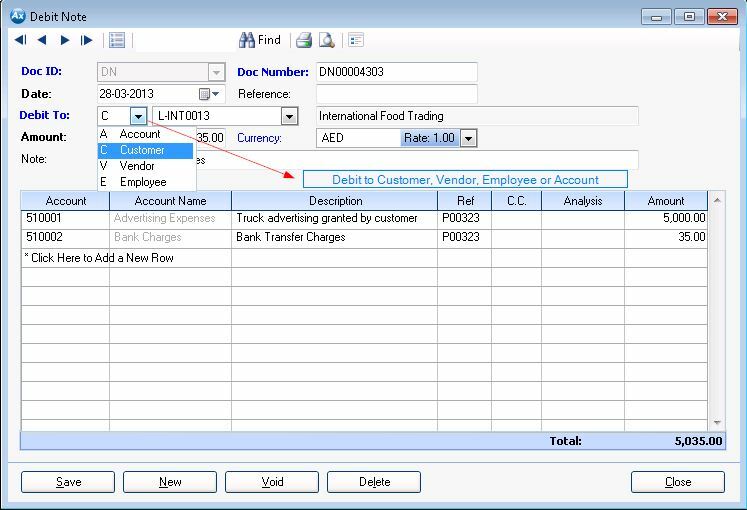 Flexible accounting groups, subgroups enables you to create multiple level of accounts hierarchy without any limitation. 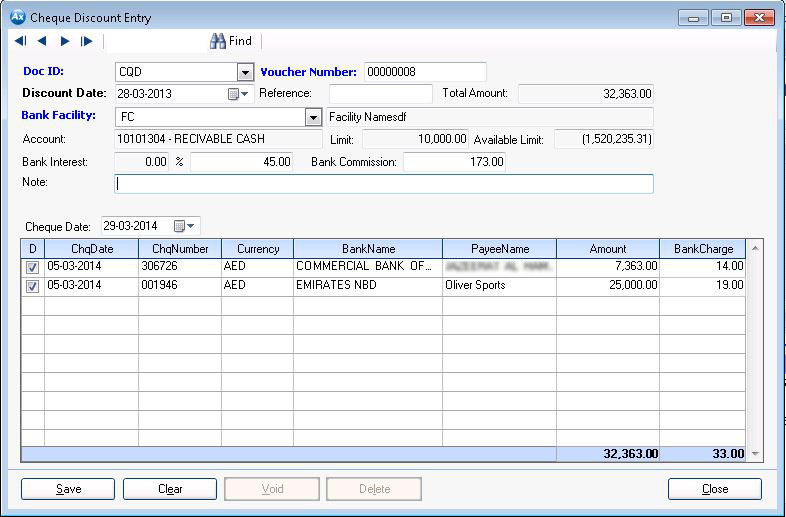 Flexible screens allow to enter debit note and credit note to customers, vendors, employees or GL accounts. 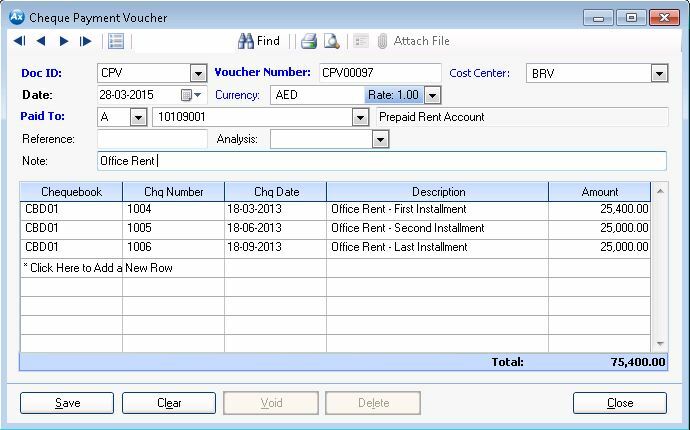 Different types of payment vouchers allow you to fully control your payments and accounts payable. You can pay your suppliers, customers or any other party with flexible payment vouchers. 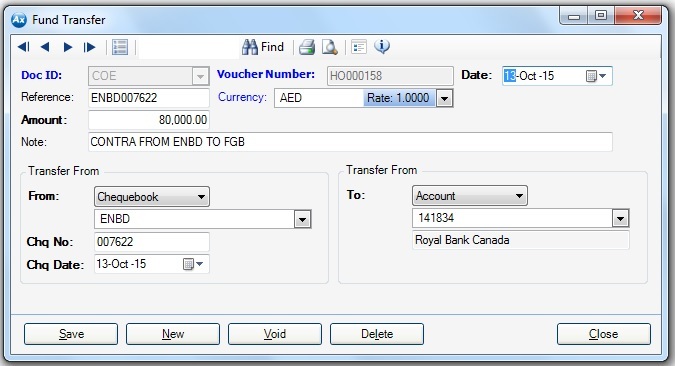 It is cash, cheque, credit card or bank transfer payments there are dedicated screens to record. 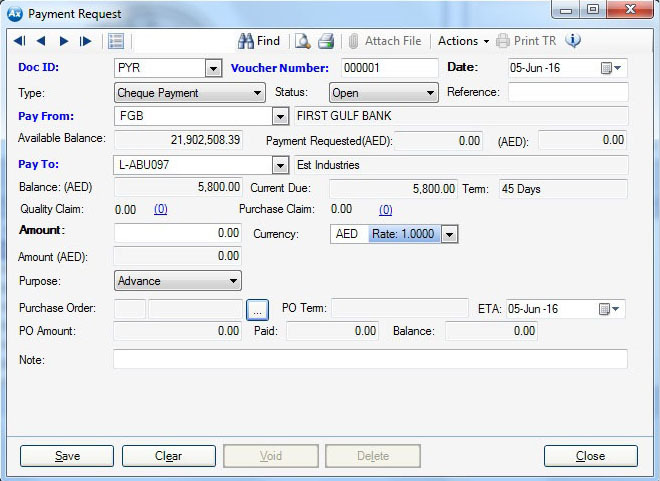 Flexible payment screens allow you to pay multiple cheques to one payee or single payment to multiple payees. Managing Chequebooks and Tracking Issues Cheques. 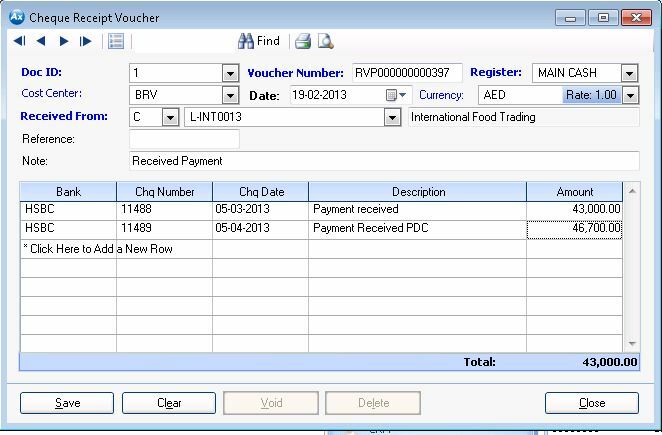 Cheque Payment Vouchers (Single or multiple cheques in one transaction). 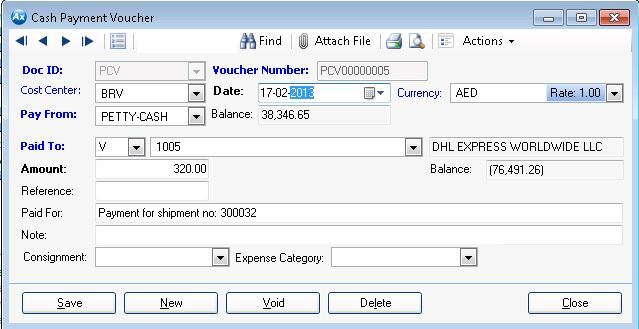 Cheque Receipt Vouhcers (Single or multiple cheques in one transaction). 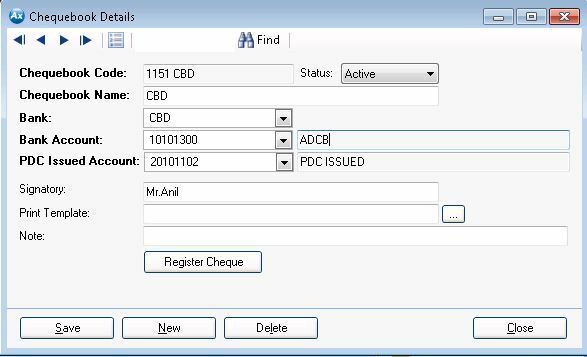 Flexible cheque entry screens allows you to receive or issue single or multiple cheques in one transaction. 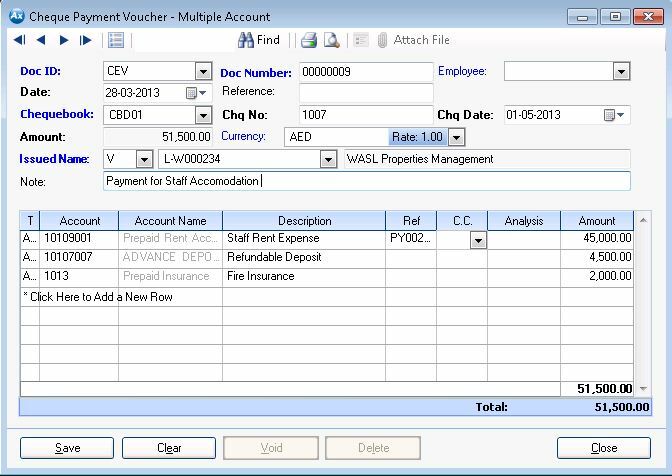 Cheques can be issued to or received from different payees including customers, vendors, employees and accounts. Cheque discounting screen allows you to discount your received cheques with the banks or entities that you have cheque discounting facility. Axolon helps you to manage your bank facilities including Cheque Discounting, Bill Discounting, Trust Receipt (TR), Term Loan, LC and etc. 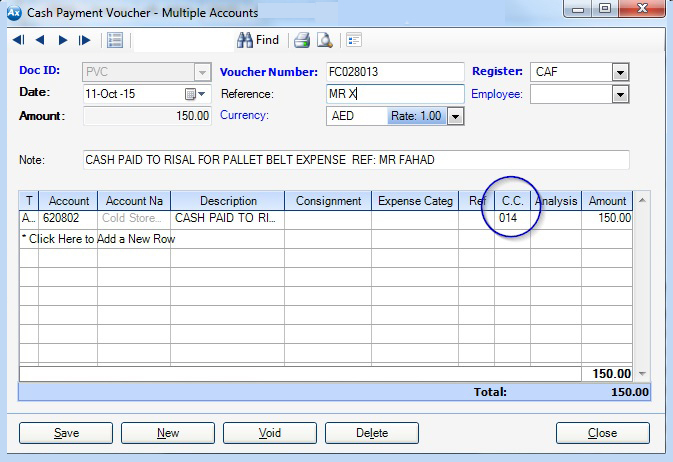 You can easily track your facility accounts and pay due balances. at any point of time you can know how much of your facility accounts are utilized and how much are due. 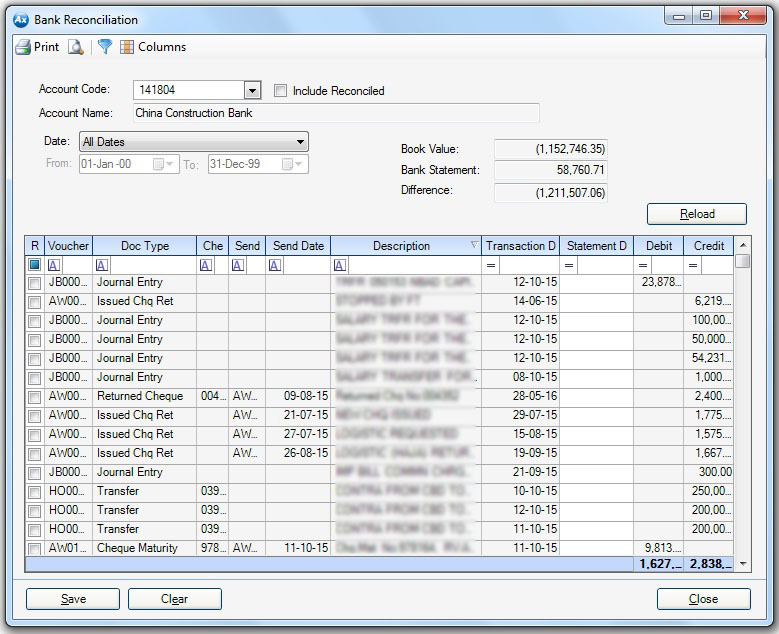 Axolon helps you to pay your suppliers by TR and track the TR balances and payments. Account analysis helps you to track an expense for different entities or people. 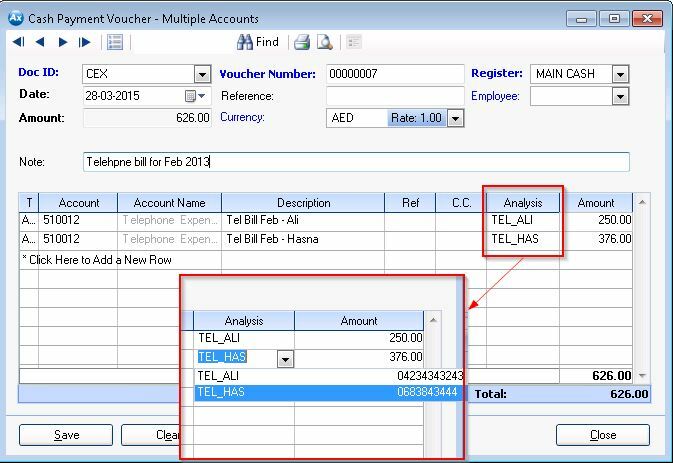 For example to track your telephone expense you can setup analysis for each phone number and select the phone number when you are booking the telephone expense. 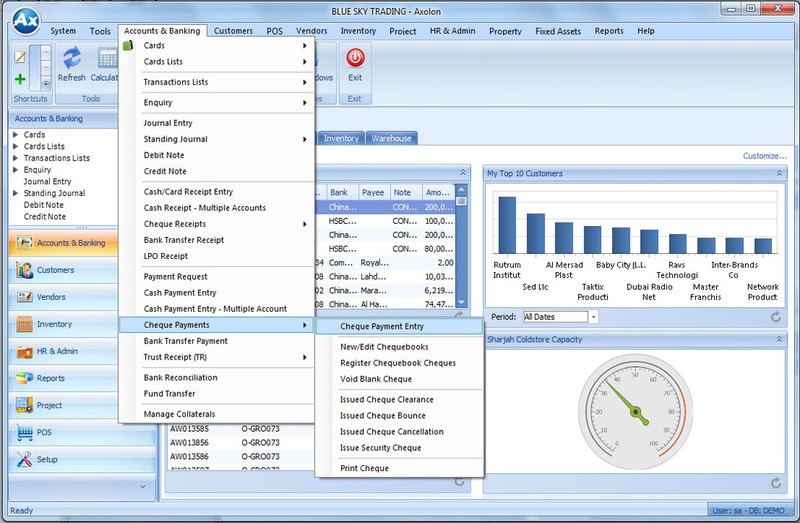 This helps you to easily track multi-dimensional expenses for each expense account. 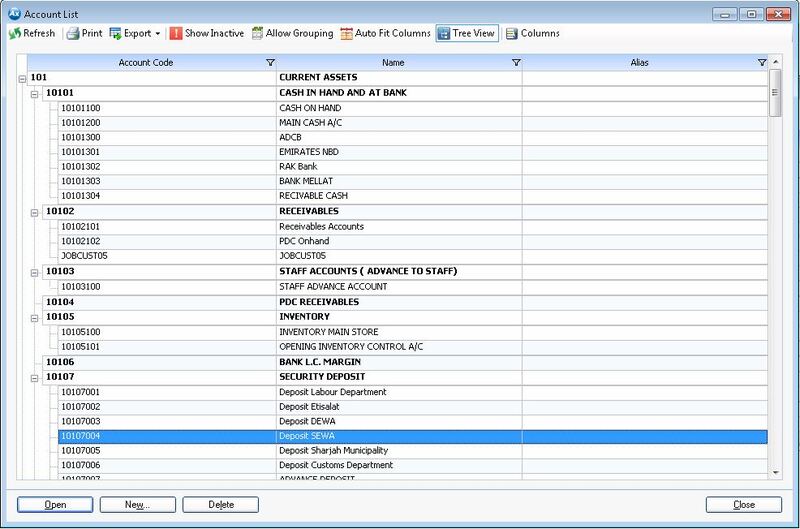 If you have a department, division or branch in your company which you need to track the expenses and profit and loss account separately you can you Cost Center. 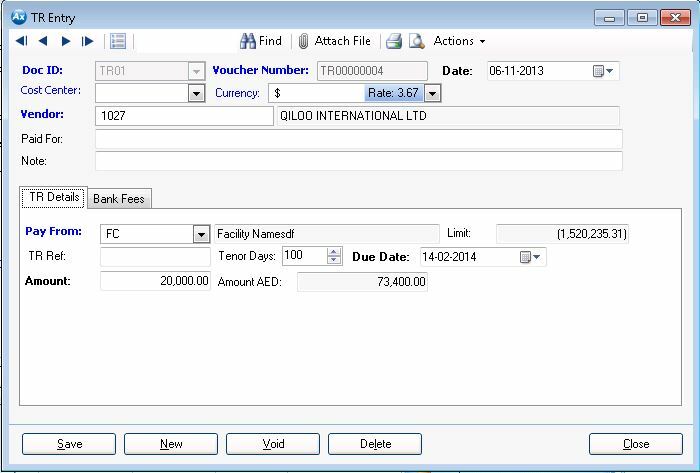 Axolon ERP helps you to track each division performance and overhead by Cost Center using VAT Enabled Finance and Accounting Software in Dubai.